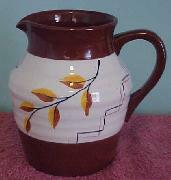 Price Brothers... Brown & White...Yellow & Brown Leaves, Red & Black Design... Art Deco... Jug/Pitcher. 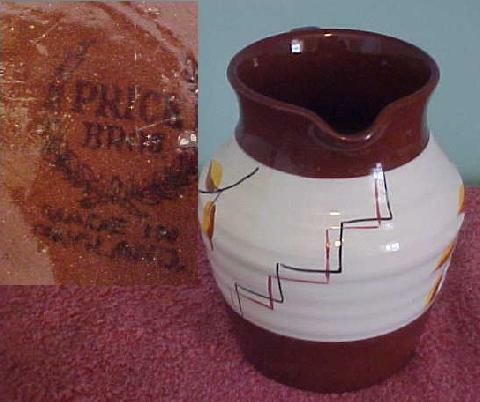 Marked on the bottom "Price Bros. Made in England". Measures approximately 6" wide (from spout to handle) x 6 1/2" high. No nicks, chips or cracks. In good, used condition.